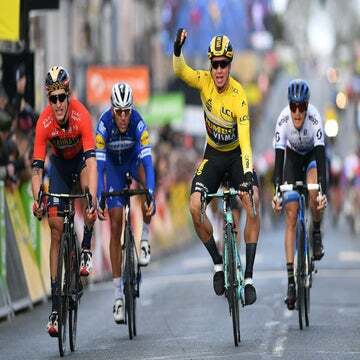 BEIJING (AFP) — Dutchman Dylan Groenewegen won the first stage of the Tour de Guangxi in southern China on Tuesday. The 25-year-old Team LottoNL-Jumbo rider crossed the line in 2:21:45, ahead of Max Walscheid (Team Sunweb) and Fabio Jakobsen (Quick-Step Floors). Groenewegen now leads the overall standings at the race. 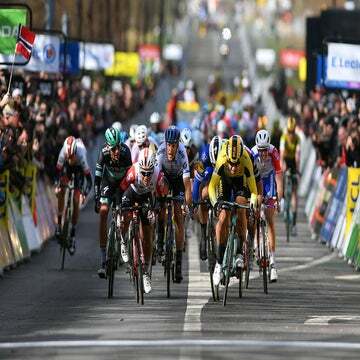 Tuesday’s stage was a 107-kilometer route that entailed making two loops around the mostly flat coastal city of Beihai. “It was a hectic final,” said Groenewegen, who now has 14 wins on the season. “At the end, a rider escaped on a small climb, but the team closed the gap. We did a good job in the final. I’m very happy that I’ve won the first stage. Big thanks to the team. Riders are expected to face their biggest challenge on stage 5, a 212km route from Liuzhou to Guilin that will take in some rugged roads and three climbs. The six-stage Tour of Guangxi, in an autonomous region bordering Vietnam, is the final stop on this year’s UCI World Tour.